The Harpenden Treasure Hunt is such a great activity and it can be tailored to suit people and groups of all ages. Whether you want to keep people occupied or you would like to learn more about what Harpenden has to offer, a treasure hunt is the ideal way to have some fun. When it comes to finding something to do in Harpenden, you may think that there are not a lot of activities you can enjoy as a group. Whether you have a group of children to keep entertained or you are looking to find a team-building exercise for your business, it can be difficult to keep everyone entertained and occupied. This is why the Harpenden Treasure Hunt is such a great activity and it can be tailored to suit people and groups of all ages. Whether you want to keep people occupied or you would like to learn more about what Harpenden has to offer, a treasure hunt is the ideal way to have some fun. The fact that there are so many notable places to visit and check out in Harpenden, the treasure hunt provides fun within a framework of learning about the area. Some of the venues included in the treasure hunt include Our Lady of Lourdes Church, St Nicholas Church, various locations on the High Street and many other quirky and instantly memorable buildings. When you know that you have a number of "must-see" attractions in a local area, you can overlook some of the other buildings or areas of note or interest. Going on a treasure hunt forces you to pay attention and to look around you, so if you want to see more of Harpenden, this is a great way to spend your time. Find the ideal Harpenden activity for your family or loved ones. This is why this sort of activity is a brilliant one for youngsters, who may be focused on the headline locations or places that they were already interested in. 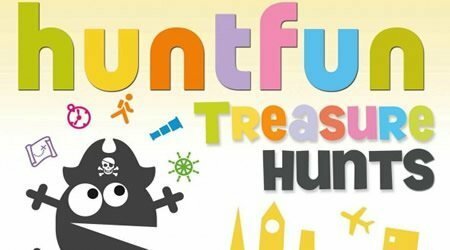 The Harpenden Treasure Hunt is expected to take around two hours to complete but of course, if you want to pop in to some of the visitor attractions you find on route, you may find that you have an activity that will last you for most of the day. One of the best things about a lot of the attractions in Harpenden is the fact that there is no charge to enter them, so you don't need to spend a lot of money to enhance your day out. Choose a quirky and fun way to enjoy yourself in Harpenden It can sometimes be difficult to find enough suitable activities to keep a group entertained but this is exactly the sort of "outside of the box" activity that will live long in the memory of the people that undertake it. Whether you are looking to have some fun or you want to learn more about Harpenden, the Harpenden Treasure Hunt is the ideal way to spend your time.